When you think of bankruptcy, you probably think of Chapter 7 liquidation. However, Chapter 13 can provide individuals the opportunity to reorganize their finances and obtain relief from their debt. To be eligible to file a Chapter 13 case, you must have a regular source of income to fund your plan of reorganization. A Chapter 13 plan outlines how you intend to pay your creditors over a period of three to five years. Once your plan is approved by the bankruptcy court, you will make monthly payments to the Chapter 13 trustee who will then distribute the money to pay your creditors according to their priority and the provisions of your plan. 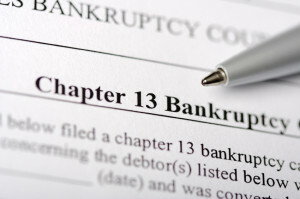 Free initial Chapter 13 Bankruptcy consultation. Priority claims. A priority claim is one that is given a special status by law and usually this type of claim must be paid in full. The most common examples of priority claims are certain types of taxes and child/spousal-support. Secured claims. A secured claim is a loan that has collateral pledged to secure the debt. The two most common examples of secured claims are the mortgage loan on your home and vehicle loans. You must pay the secured lender at least the value of the collateral if you want to keep the asset. Unsecured claims. An unsecured claim may be paid in full, partially, or not at all under your Chapter 13 plan. 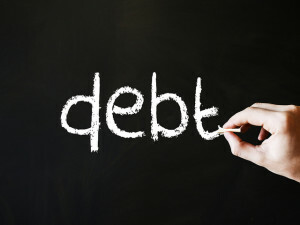 You must pay all of your “disposable income” (the amount left over after paying your basic necessities) over an “applicable commitment period.” As long as your unsecured creditors receive as much they would be paid if you had filed a Chapter 7 case, your plan can be approved by the court. If you are interested in learning more about filing a Chapter 13 bankruptcy and how it could benefit you, contact us for a free consultation. Our office is located on Sarno Road in Melbourne, Florida and we serve residents and businesses of the Space Coast and Brevard County. This entry was posted in Bankruptcy, Chapter 13 and tagged bankruptcy, Chapter 13, claims, plan, priority, secured, unsecured on August 21, 2014 by Michael Faro.